A new cookery school in a West Sussex vineyard is offering corporate classes and teambuilding events, as well as conference space for hire. 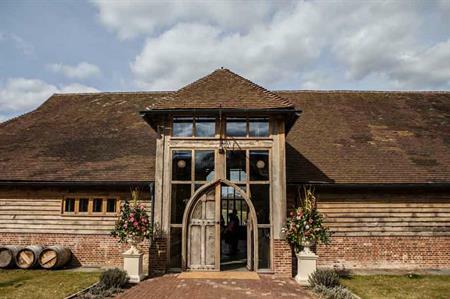 Kitchen Academy at Kingscote will be based in a 15th-century tithe barn visitor centre at the heart of the 150-acre Kingscote Estate, situated near East Grinstead between the historic Bluebell Railway and Weir Wood Reservoir. Jethro Carr, founder of Kitchen Academy, which gets involved in events at locations such as Blenheim Palace, Kew Gardens and the Abergavenny Food Festival, will work with a team of chefs including Peter Bayless, winner of the BBC TV show MasterChef in 2006. The cookery school has capacity to provide courses for up to 50 people and can work with clients to agree a culinary theme. It can also host a similar number of people in its conferencing area, or add a marquee for larger events. Other activities available on site include food and wine matching, vineyard tours, fishing, truffle hunting, clay pigeon shooting, birds of prey experiences and other countryside pursuits. Christen Monge, owner of Kingscote Estate, said: "The opening of the cookery school means our new visitor centre is now fully open for business for all types of events. Our collaboration with Jethro Carr and his team creates a whole new food and wine education experience in the heart of the West Sussex countryside."